I've been using the Color Extend Treatment Set and it's completely revived my dulling hair colour. I'm due for a refresh next week so this little set has been seeing me through the last few weeks. The shampoo helps smooth and soften the hair while the conditioner de-tangles and locks in the colour. I'm thoroughly impressed, my hair feels healthy, my colour not as dull and it just feels more manageable. 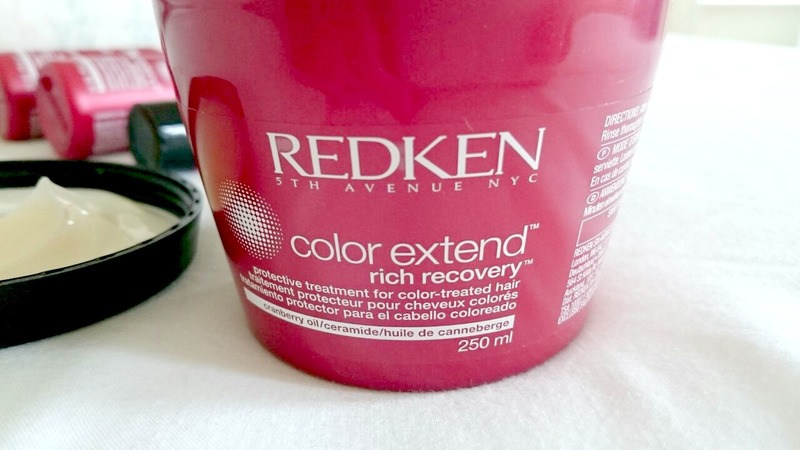 For an added treat I've also been using the Color Extend Rich Recovery which is a protective treatment containing Cranberry Oil to help maximise vibrancy. It also has UVA and UVB filters for anti-fade protection. The treatment mask is designed to keep hair strong and healthy while preserving your fabulous colour. After shampooing just comb through damp hair, leave for five minutes then wash out. And the best bit? It smells incredible, you know I'm a sucker for a good smelling hair product. The masque is quite a thick consistency and you don't need to use much so a 250ml tub will see you through a fair few washes. 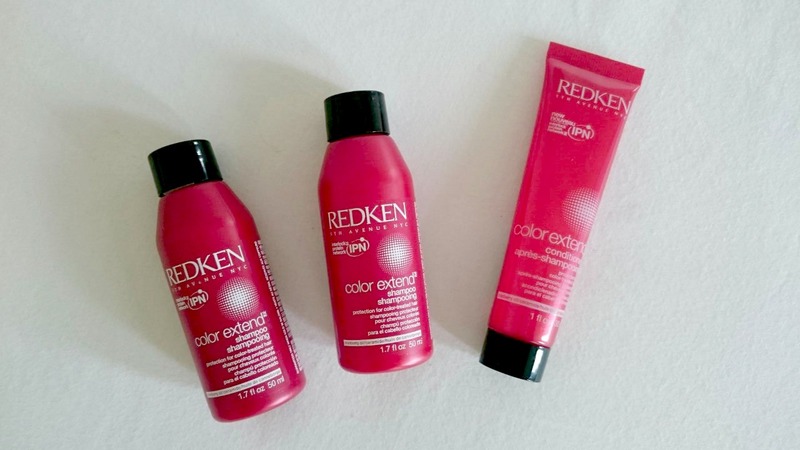 Redken Color Extend has saved my hair this month and once my highlights have been re-done, I'll be making sure my hair is kept smooth and soft afterwards with Color Extend plus an extra intense treatment thrown in for good measure. If you have coloured hair then you need to give this range a whirl, you owe it to your hair, ladies! I have been wanting to try a hair mask for a while. My hair gets in such bad condition and I don't think getting highlights helps! So I do need to try a hair mask out. I am so with you on the gorgeous smelling products! Nothing beats leaving the hair dressers with lush smelling hair so anything that can create this at home is a definite winner. 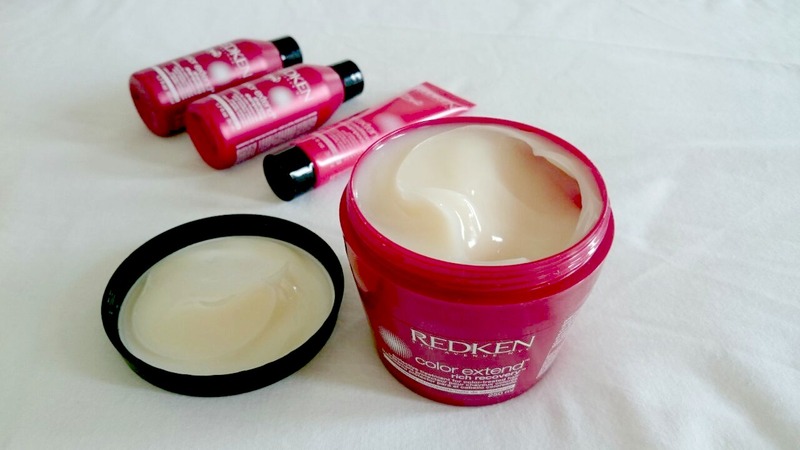 I adore Redken, but I always seem to forget they actually exist. But anything for my (over) coloured hair is a winner! I have been testing out Redken Extreme Lengths. 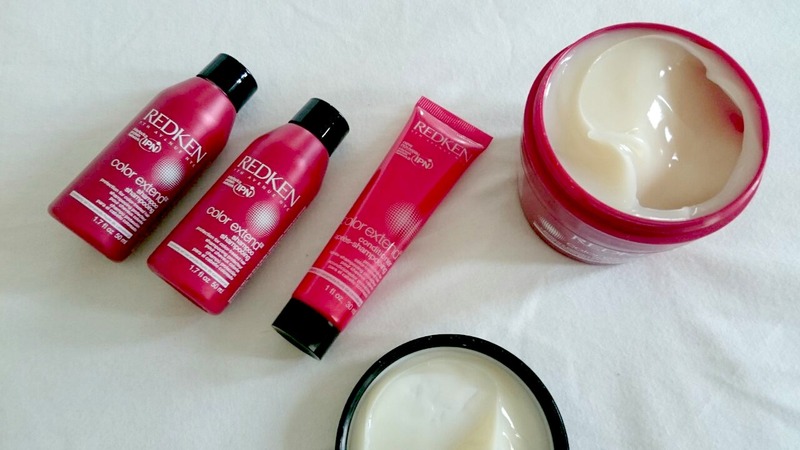 I love the smell of Redken products, they always smell lovely and it lasts ages. I think this might be the one I try next as I'm more interested in extending my hair colour before another dye than growing it long.